Stock Market Sentiment Improves - Upward Reversal or Just Another Bounce? Stocks slightly extended their downtrend on Friday despite a long-holiday-weekend shortened trading session. The S&P 500 index traded closer to its late October low. Will it reverse upwards off the support level? The U.S. stock market indexes lost 0.5-0.7% on Friday, as investors' sentiment remained bearish following the recent declines. The S&P 500 index fell slightly below its Tuesday's local low. It got closer to the late October low of 2,603.54. The index is currently trading 10.6% below September the 21st record high of 2,940.91. 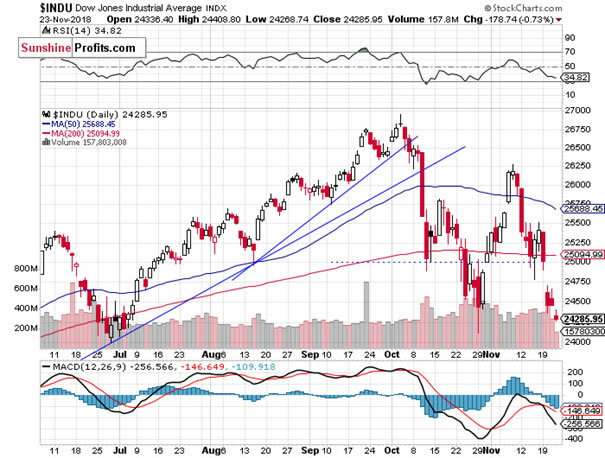 The Dow Jones Industrial Average lost 0.7% and the Nasdaq Composite lost 0.5% on Friday. The nearest important level of resistance of the S&P 500 index is now at 2,645-2,650, marked by Friday's daily gap down of 2,647.55-2,649.82. The next resistance level is at 2,670-2,680, marked by Tuesday's daily gap down of 2,669.44-2,681.09. 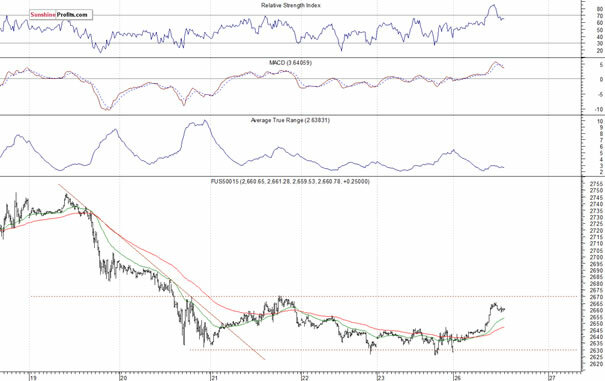 The resistance level is also at 2,690-2,700, marked by the previous level of support. On the other hand, the level of support is at 2,600-2,630, marked by the late October lows, among others. Expectations before the opening of today's trading session are positive, because the index futures contracts trade 1.1-1.6% above their Friday's closing prices. The European stock market indexes have gained 0.9-1.3% so far. There will be no new important economic data releases today. 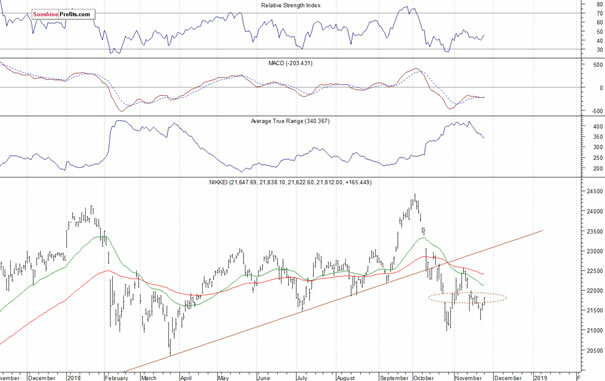 The broad stock market will likely retrace some of its last week's sell-off. 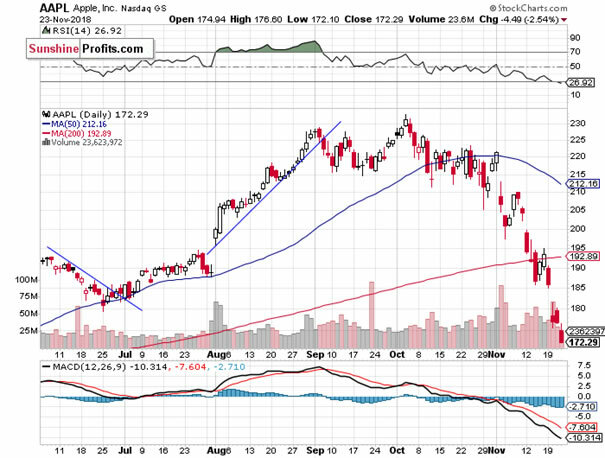 For now, it looks like an upward correction within a downtrend. 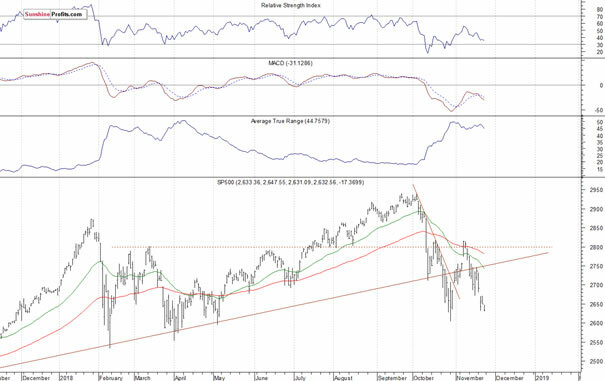 The S&P 500 index slightly extended its short-term downtrend on Friday and it traded closer to a potential support level of 2,600-2,630, marked by the late October local lows. 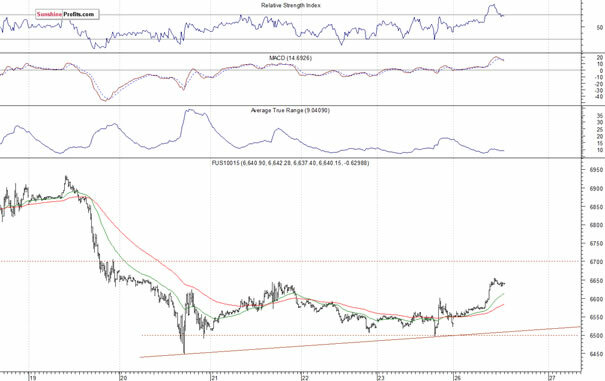 We can see some short-term oversold conditions that may lead to an upward correction. However, there have been no confirmed positive signals so far. Concluding, the S&P 500 index will likely open higher today. 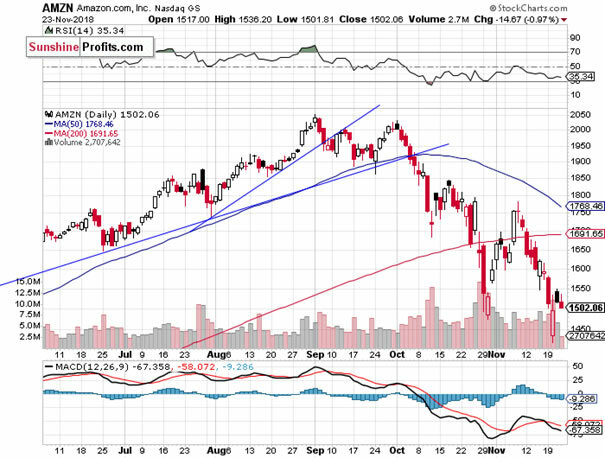 For now, it looks like an upward correction within a downtrend. But if the market breaks above the resistance level of around 2,670-2,680, we could see more buying pressure.